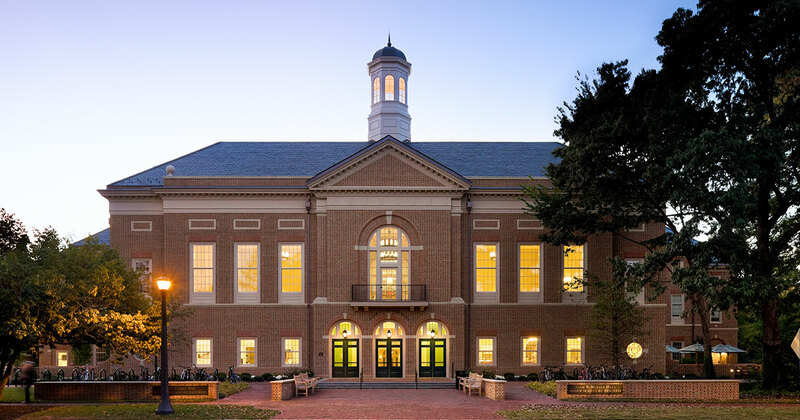 All currently admitted William & Mary students interested in a business minor must apply for admission to the Undergraduate Business Program. Students minoring in marketing must complete 18 credits in the discipline. These credits focus understanding of marketing beyond basic principles to look more critically at advertising strategies, decision theory, marketing in a digital world, and consumer behavior. The study of economic behavior at the level of individual households and firms. Topics include scarcity and choice, supply and demand, production, cost and market organization. The study of aggregate economic activity. Topics include national income and output, unemployment, money and inflation, and international trade. 3 credits | Fall & Spring | Prerequisite(s): ECON 101 - Principles of Microeconomics and ECON 102 - Principles of Macroeconomics, or consent of the instructor. A study of the role of marketing in business and the economy. Emphasis is on the examination of functions, institutions and policies. Introduction of fundamentals of marketing research. Use of research information in marketing decision making. Topics include research design, interrogative techniques, data collection methods, scaling, sampling and alternative methods of data analysis. Students design and execute their own research projects. Managerial techniques in planning and executing marketing programs. Emphasis on decision making related to marketing segmentation, product innovation and positioning, pricing and promotion Extensive use of cases, readings and a management simulation. To be competitive in today's marketplace, service organizations must provide a quality experience for their customers. Customer experience management (CEM) is the process of strategically managing a customer's entire experience with a company. Specifically, this course identifies the key dimensions on which customer perceptions of service excellence are based, and describes strategies for offering superior customer service. Students will gain a better understanding of how customers evaluate service firms. Students will gain a better understanding of how customers evaluate service firms; they will also have a "tool kit" of ideas, measures and techniques to help improve service excellence. Many companies are embracing sustainability as the inspiration and impetus for the next wave of product and service innovation. In this course, we will explore the reasons behind this growing interest in sustainability, what sustainability means to consumers, and the opportunities it presents to companies that want to "do well while doing good". This course will also emphasize the process and outcome of product and service innovation, from creative idea generation to concept evaluation. Specifically, students will gain significant hands-on experience with the tools and techniques of "Design Thinking" in a studio setting, with a focus on developing innovative ideas that promote the principles of sustainability.